Unfortunately, the courts and the police have meshed in their thinking to such an extent that anything goes when it’s done in the name of national security, crime fighting and terrorism. Consequently, America no longer operates under a system of justice characterized by due process, an assumption of innocence, probable cause and clear prohibitions on government overreach and police abuse. Instead, our courts of justice have been transformed into courts of order, advocating for the government’s interests, rather than championing the rights of the citizenry, as enshrined in the Constitution. Just recently, for example, the Tenth Circuit Court of Appeals ruled in U.S. v. Westhoven that driving too carefully, with a rigid posture, taking a scenic route, and having acne are sufficient reasons for a police officer to suspect you of doing something illegal, detain you, search your car, and arrest you—even if you’ve done nothing illegal to warrant the stop in the first place. In that same vein, the U.S. Supreme Court declared in a 5-4 ruling in Navarette v. California that police officers can, under the guise of “reasonable suspicion,” stop cars and question drivers based solely on anonymous tips, no matter how dubious, and whether or not they themselves witnessed any troubling behavior. And then you have the Supreme Court’s refusal to hear Hedges v. Obama, a legal challenge to the indefinite detention provision of the National Defense Authorization Act of 2012 (NDAA), thereby affirming that the President and the U.S. military can arrest and indefinitely detain individuals, including American citizens, based on a suspicion that they might be associated with or aiding terrorist organizations. All three cases reflect a mindset in which the rule of law, the U.S. Constitution, once the map by which we navigated sometimes hostile terrain, has been unceremoniously booted out of the runaway car that is our government, driven over and left for road kill on the side of the road. All that can be seen in the rear view mirror are the tire marks on its ragged frame. What we are dealing with, as I document in my book A Government of Wolves: The Emerging American Police State, is a run-away government hyped up on its own power, whose policies are dictated more by paranoia than need. Making matters worse, “we the people” have become so gullible, so easily distracted, and so out-of-touch that we are ignoring the warning signs all around us and failing to demand that government officials of all stripes—the White House, Congress, the courts, the military, law enforcement, the endless parade of bureaucrats, etc.—respect our rights and abide by the rule of law. The Supreme Court’s refusal to hear the NDAA indefinite detention case—which challenged whether the government can lawfully lock up American citizens who might be deemed extremists or terrorists (the government likes to use these words interchangeably) for criticizing the government—is one such warning sign that we would do well to heed. The building blocks are already in place for such an eventuality: the surveillance networks, fusion centers and government contractors already monitor what is being said by whom; government databases track who poses a potential threat to the government’s power; the militarized police, working in conjunction with federal agencies, coordinate with the federal government when it’s time to round up the troublemakers; the courts sanction the government’s methods, no matter how unlawful; and the detention facilities, whether private prisons or FEMA internment camps, to lock up the troublemakers. For those who can read the writing on the wall, it’s all starting to make sense: the military drills carried out in major American cities, the VIPR inspections at train depots and bus stations, the SWAT team raids on unsuspecting homeowners, the Black Hawk helicopters patrolling American skies, the massive ammunition purchases by various federal agencies such as the Department of Homeland Security, the Department of Education, the IRS and the Social Security Administration. Viewed in conjunction with the government’s increasing use of involuntary commitment laws to declare individuals mentally ill and lock them up in psychiatric wards for extended periods of time, the NDAA’s provision allowing the military to arrest and indefinitely detain anyone, including American citizens, only codifies this unraveling of our constitutional framework. History shows that the U.S. government is not averse to locking up its own citizens for its own purposes. One need only go back to the 1940s, when the federal government proclaimed that Japanese-Americans, labeled potential dissidents, could be put in concentration (a.k.a. internment) camps based only upon their ethnic origin, to see the lengths the federal government will go to in order to maintain “order” in the homeland. The U.S. Supreme Court validated the detention program in Korematsu v. US (1944), concluding that the government’s need to ensure the safety of the country trumped personal liberties. That decision has never been overturned. In fact, the creation of detention camps domestically has long been part of the government’s budget and operations, falling under the jurisdiction of FEMA, the Federal Emergency Management Agency. FEMA’s murky history dates back to the 1970s, when President Carter created it by way of an executive order merging many of the government’s disaster relief agencies into one large agency. During the 1980s, however, reports began to surface of secret military-type training exercises carried out by FEMA and the Department of Defense. Code named Rex-84, 34 federal agencies, including the CIA and the Secret Service, were trained on how to deal with domestic civil unrest. FEMA’s role in creating top-secret American internment camps is well-documented. But be careful who you share this information with: it turns out that voicing concerns about the existence of FEMA detention camps is among the growing list of opinions and activities which may make a federal agent or government official think you’re an extremist (a.k.a. terrorist), or sympathetic to terrorist activities, and thus qualify you for indefinite detention under the NDAA. Also included in that list of “dangerous” viewpoints are advocating states’ rights, believing the state to be unnecessary or undesirable, “conspiracy theorizing,” concern about alleged FEMA camps, opposition to war, organizing for “economic justice,” frustration with “mainstream ideologies,” opposition to abortion, opposition to globalization, and ammunition stockpiling. Of course, these detention camps will have to be used for anyone viewed as a threat to the government, and that includes political dissidents. So it’s no coincidence that the U.S. government has, since the 1980s, acquired and maintained, without warrant or court order, a database of names and information on Americans considered to be threats to the nation. As Salon reports, this database, reportedly dubbed “Main Core,” is to be used by the Army and FEMA in times of national emergency or under martial law to locate and round up Americans seen as threats to national security. As of 2008, there were some 8 million Americans in the Main Core database. These reports indicate that for the government, so-called extremism is not a partisan matter. Anyone seen as opposing the government—whether they’re Left, Right or somewhere in between—is a target, which brings us back, full circle, to where we started, with the NDAA’s indefinite detention provision, whose language is so broad and vague as to implicate anyone critical of the government. Unfortunately, we seem to be coming full circle on many fronts. Consider that a decade ago we were debating whether non-citizens—for example, so-called enemy combatants being held at Guantanamo Bay and Muslim-Americans rounded up in the wake of 9/11—were entitled to protections under the Constitution, specifically as they relate to indefinite detention. Americans weren’t overly concerned about the rights of non-citizens then, and now we’re the ones in the unenviable position of being targeted for indefinite detention by our own government. Similarly, most Americans weren’t unduly concerned when the U.S. Supreme Court gave Arizona police officers the green light to stop, search and question anyone—ostensibly those fitting a particular racial profile—they suspect might be an illegal immigrant. Two years later, the cops have carte blanche authority to stop any individual, citizen and non-citizen alike, they suspect might be doing something illegal (mind you, in this age of overcriminalization, that could be anything from feeding the birds to growing exotic orchids). Likewise, you still have a sizeable portion of the population today unconcerned about the government’s practice of spying on Americans, having been brainwashed into believing that if you’re not doing anything wrong, you have nothing to worry about. It will only be a matter of time before they learn the hard way that in a police state, it doesn’t matter who you are or how righteous you claim to be—eventually, you will be lumped in with everyone else and everything you do will be “wrong” and suspect. Martin Niemoller learned that particular lesson the hard way. A German military officer turned theologian, Niemoller was an early supporter of Hitler’s rise to power. It was only when Hitler threatened to attack the churches that Niemoller openly opposed the regime. 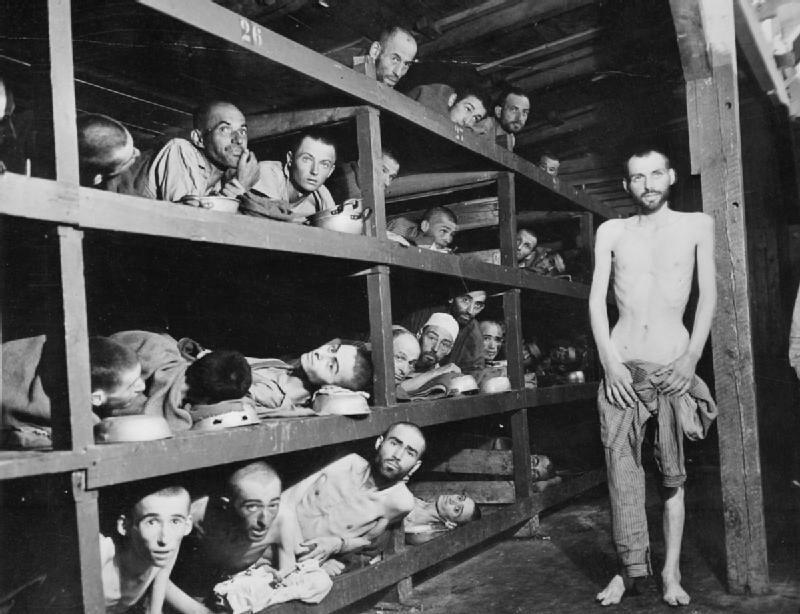 For his efforts, Neimoller was arrested, charged with activities against the government, fined, detained, and eventually interned in the Sachsenhausen and Dachau concentration camps from 1938 to 1945. I find myself wondering about that too. I wonder about it as much as I regret it. Still, it is true that Hitler betrayed me… Hitler promised me on his word of honor, to protect the Church, and not to issue any anti-Church laws. He also agreed not to allow pogroms against the Jews… Hitler’s assurance satisfied me at the time…I am paying for that mistake now; and not me alone, but thousands of other persons like me.